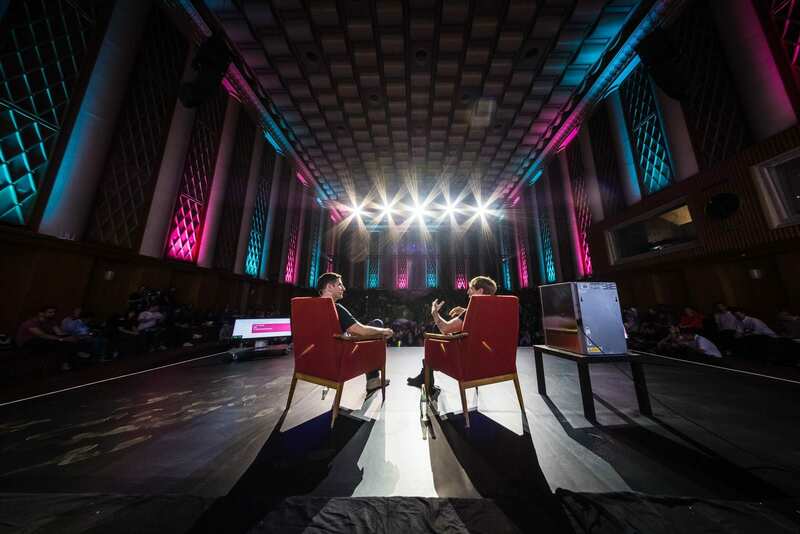 In 2012 a bunch of Berlin startup folks came together to create a new kind of Festival, bound by the desire to build a bridge between the tech, music, art and science worlds. From the onset we wished for it to become a collaborative e ort by the community. Together with you we crafted the initial format via open town hall meetups, got our logo crowdsourced and became the world’s first crowdfunded festival. Rather than moulding people and ideas into one format, we seek to provide a platform for others to build upon. Technology is a transformative power that disrupts entire industries and touches every angle of life. By bringing together technological changemakers with representatives of different disciplines, we help the disrupted better anticipate the future and the technologists better understand the world they change. We only came this far thanks to the energy of our speakers, artists, satellite event organisers, supporters, volunteers and attendees. It really means the world to us that people from across different disciplines have invested so much time to pass on their knowledge and passion to others.